Until a few months ago, those of us who live on the Westside were forced trek if we found ourselves in need of a bottle of wine or some beer that didn’t come from some seedy package store or gas station. So, color me excited when I heard Hop City had opened its doors across from Octane. 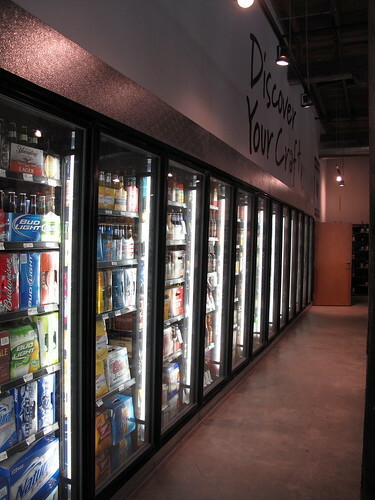 Like most people, I thought this was a beer only operation, but the stores’ owners told me they try to stock a wide variety of “everyday wines.” And they have a nice selection of affordable options from all over the world. I picked up a Rose and some Cava the other day and spent around $15/bottle. 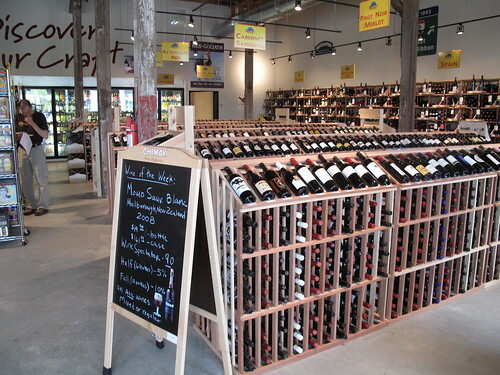 Moon knows much more about wine than me and liked the store. His only complaint was that they don’t have “shelf talkers,” which would be a big help since the store is apparently understaffed. 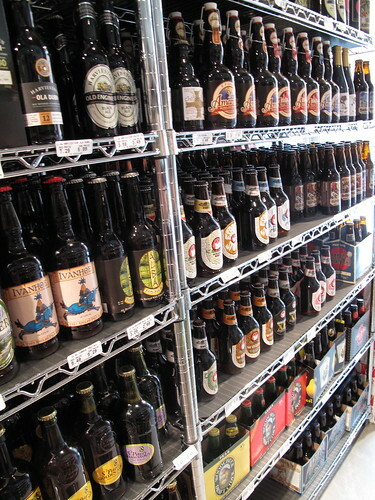 As expected, the beer section is huge and has pretty much anything you could ever want as a beer drinker. I was especially excited by the variety of Japanese beers, including a new type of Hitachino I’d never had before. They also have all the stuff you need to make your craft beer, which I know nothing about. But it’s there. All in all a good addition to the neighborhood and their pricing is just right. 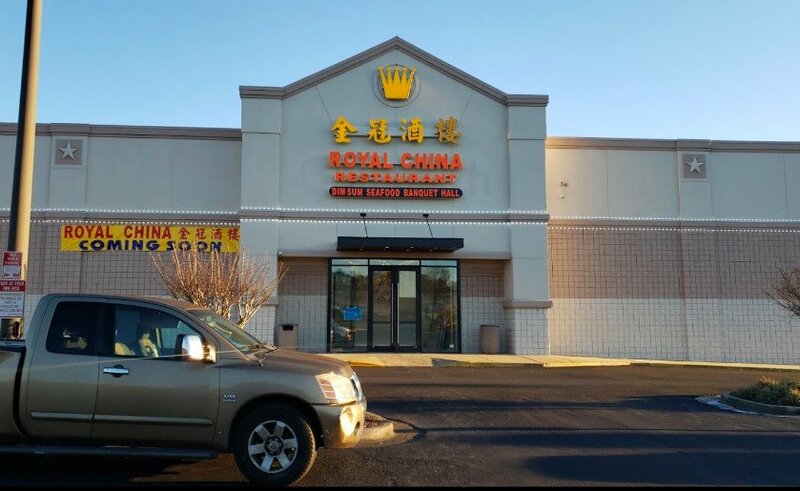 The owners claim they are cheaper than Green’s or Tower. And they are more than happy to order something for you. I suggest you join their free club so you get more tailored recommendations based on your past purchases and invites to special wine/beer dinners. The owners are quite mistaken. They are consistently $0.50 – $1.00 higher than Green's. We went to Hop City after toddling over to TINY the other weekend (on your recommendation- thanks!). You must try what they recommended to us: Son of a Peach (beer). Peachy without being cloying. Green's is lovely, but I think I might pay the extra $.50 for Hop City because of their friendliness of the staff and lack of old-box-smell that most package stores have. 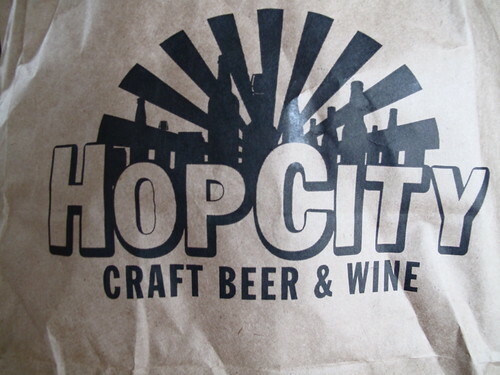 It's Kraig here – the owner of Hop City. We very much appreciate the thoughtful story – we are delighted to be a part of the up and coming West Midtown neighhborhood – it's a great place to work, live, and shop! 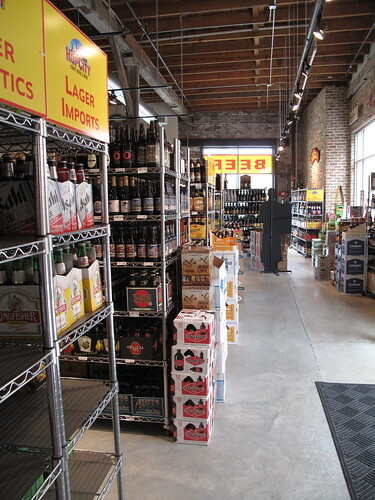 I just wanted to add a quick thank you note and to make a minor correction – we try hard to buy in large quantities (particularly on the beer side) so we can price our product competitively with all of the other major retailers in Atlanta. My customers tell me that, in some cases, we are less expensive on certain items. In other cases, I am confident we are slightly more expensive. I also wanted to add that we are only 9 weeks old and are very much in the process of adding informational shelf tags on all our wine product (and eventually, the beer!) We really appreciate all the customer support so far and hope we can continue to keep the beer, wine, and homebrewers of Atlanta happy. Cheers! I shop for beverages from Jasper to Atlanta. The percentage of "old-box-smell" you speak of is less than 1% of my travel experience. Prices are in the ballpark on some items and out of the park on others with the major retailers. I'll say this, most if not all locations I visit are friendly.Never confuse a busy worker in a busy retailer as Non-friendly.Buy, Drink, Repeat! Just paid my first visit to Hop City, and love the selection and atmosphere. The prices seemed better or equal to grocery store on the beer. I'd much rather support the local business in either case! Hop City key tag will be proudly displayed on my keychain and look forward to going back.